Prep the Ingredients: Slice the banana into small circles of even thickness. Assemble the Sandwich: Toast the bread. Generously spread Nutella on both sides of the bread. 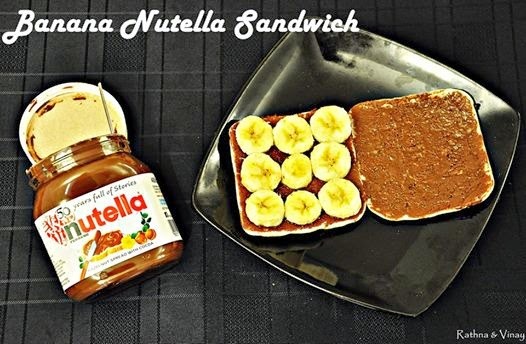 place the sliced banana on one slice of bread and cover it with the other slice. If you do not prefer grilled fruit, toast the bread before you assemble the sandwich. Else, toast the sandwich once its assembled. The sandwich can also be eaten as a cold sandwich without toasting the bread.